Real Madrid sent a message that echoed all around the competition by downing defending Euroleague champion Panathinaikos 80-70 in front of 12,500 fans at Palacio Vistalegre in the Spanish capital on Thursday night. Both teams now join BC Khimki Moscow region in a three-way tie for the top spot in Group D, all with a 2-1 record. 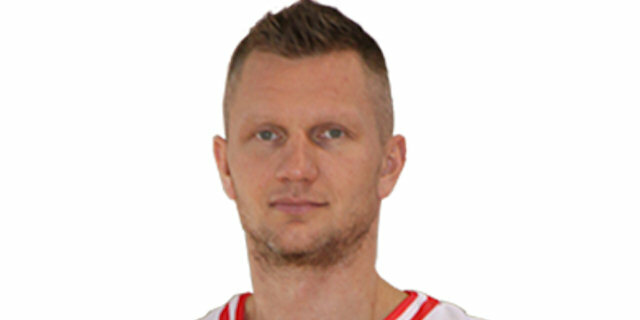 Rimantas Kaukenas led the winners with 17 points. 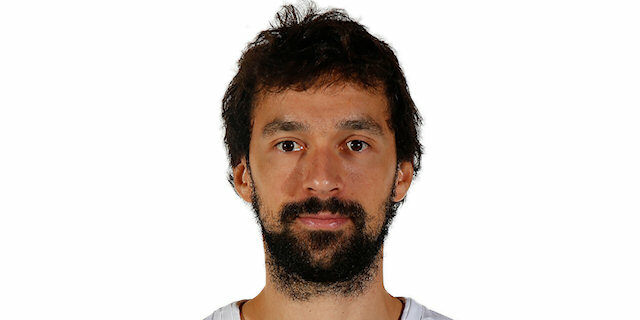 Darjus Lavrinovic added 15, Sergio Llull had 12 while Pablo Prigioni got 11 for Madrid. 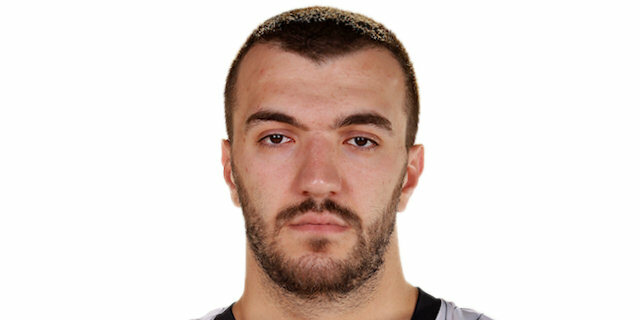 Nikola Pekovic had 22 points for Panathinaikos while Drew Nicholas added 16. Panathinaikos managed to find Pekovic in the low post for easy points in the early going. He got some help from Milenko Tepic and Antonis Fotsis to give the Greens a 12-23 margin early in the second quarter. Madrid improved its defense, excelled at double-teaming Pekovic and made Panathinaikos go scoreless for 8 minutes. Lavrinovic and Llull fueled a game-changing 20-0 run that allowed Madrid to get a 34-28 margin at halftime. Lavrinovic stayed unstoppable while Prigioni shined after the break to keep Madrid way ahead, 59-51, after 30 minutes. Three-pointers by Prigioni and Llull sealed the outcome, 74-63, with 3 minutes to go, enough for all Madrid fans to confirm that their team may reach really high in the 2009-10 Euroleague season. Fotsis got Panathinaikos going with a two-handed dunk that Lavrinovic matched with a six-meter jumper. Panathinaikos tried to get the ball to Pekovic down low as often as possible, trying to put Lavrinovic into foul trouble. Coach Messina tried to open the court with Jorge Garbajosa and Lavrinovic together on court. A layup by Pekovic and free throws by Vassilis Spanoulis gave the Greens a 2-6 edge. Pekovic and Lavrinovic traded blocks on each other off a Madrid timeout and Travis Hansen struck from downtown for a 5-6 Madrid deficit. Pekovic scored again while Dimitris Diamantidis took over with an outstanding three-pointer to keep Panathinaikos ahead, 5-11. Kaukenas and Garbajosa rescued Madrid but a layup by Giorgi Shermadini and back-to-back triples by Tepic and Fotsis silenced the crowd at 9-19. Prigioni tried to change things with an acrobatic layup that Tepic matched with a stop-and-pop jumper. A free throw by Kaukenas brought the hosts within 12-21 after 10 minutes. Coach Ettore Messina tried to change the game rhythm with Llull, Sergi Vidal and Novica Velickovic together on court, trying to speed up its offense. Panathinaikos kept following its game plan, however, and a jump hook by Pekovic gave the Greens a 12-23 edge. Lavrinovic scored in the low post while Llull added a fast break layup to get the crowd involved at 16-23. Panathinaikos kept struggling to score while a baseline jumper by Lavrinovic got Madrid as close as 20-23. Madrid excelled at double-teaming Pekovic and the Greens' offense collapsed. Llull shined with a backdoor layup while a big dunk by Velickovic gave the hosts a 24-23 edge. Panathinaikos had been scoreless for 7 minutes already, while a wide open triple by Garbajosa and a fast break layup by Kaukenas boosted Madrid's lead to 29-23. A three-pointer by Llull capped a 20-0 Madrid and the crowd went wild at 32-23. Shermadini sank free throws while Nicholas struck from downtown for a 32-28 Panathinaikos deficit. Free throws by Lavrinovic fixed the halftime score at 34-28. Nicholas took over with a driving layup immediately after the break but Lavrinovic matched it with a fadeaway jumper. Pekovic kept pacing the guests with a layup-plus-foul but Panathinaikos kept struggling to find open shots. Lavrinovic sank another baseline jumper but Nicholas answered from downtown for a 38-36 Panathinaikos deficit. Prigioni joined the three-point shootout, as Madrid kept trying to get Pekovic out of the paint with Lavrinovic and Garbajosa away from the basket. Lavrinovic took over with a driving layup while another triple by Prigioni made it a nine-point game, 46-37. Shermadini scored down low but Kaukenas took over with a wild driving basket. Nicholas and Velickovic exchanged three-pointers while Kaukenas buried a running bomb from downtown to boost the hosts' lead to 54-42. Panathinaikos improved its defense off a timeout while Diamantidis and Nicholas nailed back-to-back triples for a 56-49 deficit. Bullock buried his trademark catch-and-shoot triple but a fallaway jumper by a red hot Nicholas kept the Greens within 59-51 after 30 minutes. Pekovic had an unsportsmanlike foul on Lavrinovic early in the fourth quarter, showing that Panathinaikos was ready to fight for the win. He scored in the other end to bring the guests within 60-53. Bullock sank free throws and a fast break layup by Kaukenas kept Madrid out of trouble at 64-53. Panathinaikos opted to attack the basket, trying to bring Madrid into the foul bonus. Bullock shined with a smooth driving layup and the hosts stayed focused in defense. Kaukenas fired in a six-meter jumper that Pekovic matched with a layup, but Panathinaikos only managed to trade baskets now. Spanoulis scored in transition while a free throw by Pekovic gave the Greens some hope at 68-61. Prigioni sank a corner triple and even when Pekovic scored again, Llull also struck from downtown to seal the outcome, 74-63, with 3 minutes to go. Both teams fought now for points differential, a critical issue in a direct fight to win Group D at the end of this round. Kaukenas and Velickovic allowed Madrid to keep a safe margin until the final buzzer. "I am very happy with this game, especially with the intensity that my players had tonight. We rotated our players at the end of the first quarter and that changed the defensive attitude of our team. It was a great game against the defending champion, which is always important, but we cannot forget this is just another win. This win will make us stronger and teach us to compete in the future." "First of all, congratulations to Real Madrid for its great intensity. We had a very good first quarter, but our main problems were turnovers and their defense. We have to learn from this game. 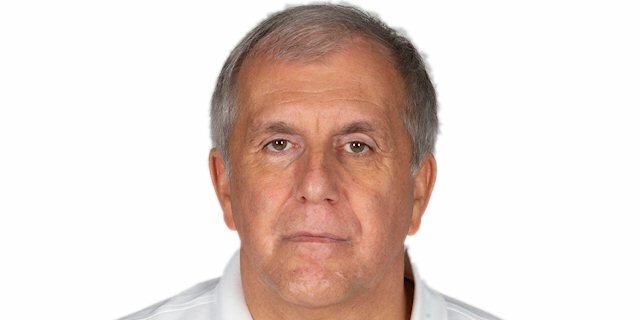 I am not surprised that everyone believes that Real Madrid is one of the favorites to win the Euroleague this season." "It was a tough game. It is an important win, because we were able to stay focused. Our options began with good defense and even though we had a slow start, we managed to be focused for the rest of the game and get an important win, even though it is too early to get anything definitive out of it." "It was a nice game for us. We managed to challenge and beat the reigning Euroleague champion. We had a soft start in defense, maybe respecting Panathinaikos too much. We played more aggressive after that and improved our game to get an important win." "We started the game really well but Real Madrid put a lot of pressure on defense and forced us to make some mistakes. We were not allowed to play our team-oriented game and were not able to bounce back in the second half. We are not really worried because this is the beginning of the season. We have to carry on working hard, getting better and learning from our mistakes. If we do all that, it will be tough for Madrid to beat us next time." "We had a good start, but paid a high price for our many turnovers. Madrid's defense and fast break baskets hurt us a lot. The good part is that we are still in November. It is too early to come up with anything definitive about this game, but we have to improve and try our best to be better in the decisive moments of the season."